Neste link do Cool Tools, uma lista com várias matérias boas (em inglês) publicadas em diversas revistas. Abaixo, algumas delas. 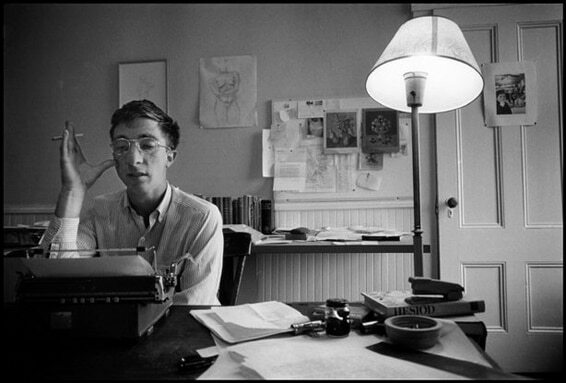 John Updike (foto), “Hub Fans Bid Kid Adieu.” The New Yorker, Outubro, 1960. Norman Mailer, “Superman Comes to the Supermarket.” Esquire, Novembro, 1960. Tom Wolfe, ”The Last American Hero is Junior Johnson. Yes!” Esquire, Março, 1965. 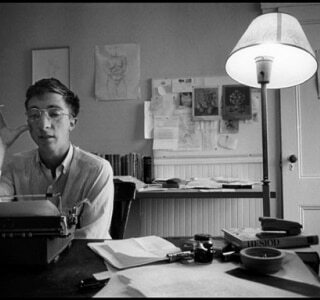 Hunter Thompson, ”The Kentucky Derby is Decadent and Depraved.” Scanlan’s Monthly, Junho, 1970. Stewart Brand, “Space War: Fanatic Life and Symbolic Dearth Among Computer Bums. Rolling Stone, Dezembro, 1972. David Foster Wallace, “The String Theory.” Esquire, Julho, 1996. Jon Krakauer, “Into Thin Air.” Outside Magazine, Setembro, 1996. Susan Orlean, “Orchid Fever.” The New Yorker, Janeiro, 1995. Malcolm Gladwell, “The Pitchman.” The New Yorker, Outubro, 2000. Katie Hafner, “The Epic Saga of The Well.” Wired, Maio 1997.